Several year ago, we stared in Mauldin, South Carolina. The business primarily focused on Cleaning Services and installation. We have expanded our product line to include roofing, gutters, siding and trim, carports/patio covers, sunrooms and replacement windows. 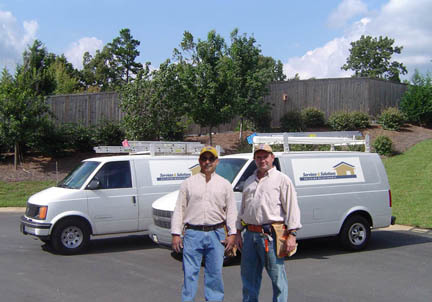 We continue to offer quality workmanship with professional service from our experienced installers. We are so confident in our quality that we offer a workmanship warranty on all products offered. Family is a word often used to describe a company, but here, it is a word that rings true. We are passionate about treating anyone who is involved with us as part of the family, from our production team members to our customers. The way you want it done, for a price that meets your needs. We are committed to offer a Worry-free service that you can count on. Not only will we provide your home top quality cleaning, paying attention to the details; we will clean your home the way you would if you had the time. If you are not completely satisfied, we gladly return at no additional charge to take care of the issue. Please complete the form in the “Contact Us” Tab and one of our employees will contact you to get a better understanding of your home cleaning requirements and a quote will be give to you at a price that fits your budget.